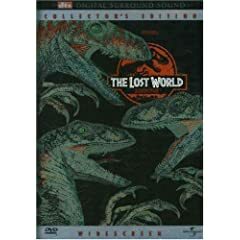 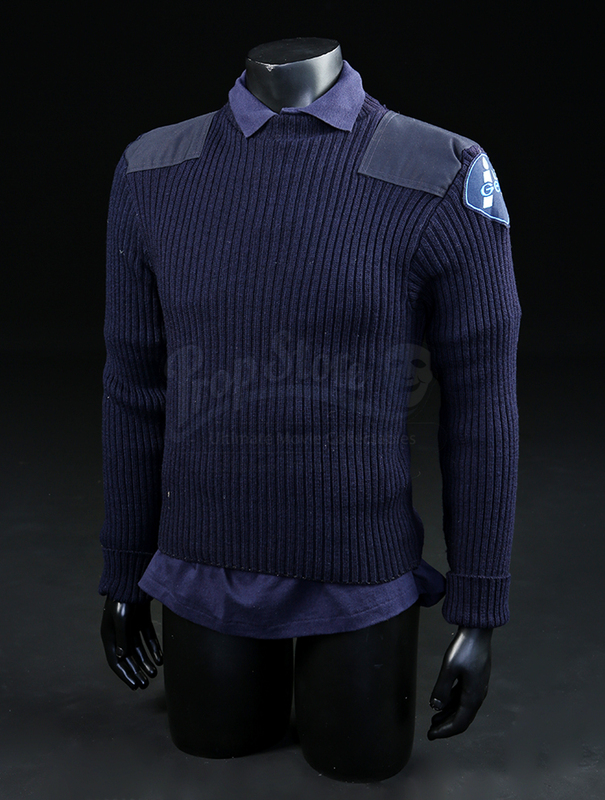 A helicopter pilot sweater and an inGen polo shirt from Steven Spielberg's 1997 sci-fi action sequel The Lost World: Jurassic Park. 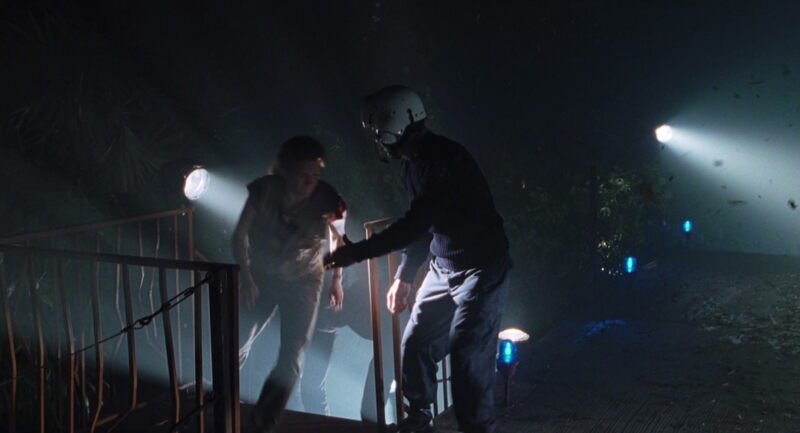 Helicopter pilots wear their dark blue sweaters when rescuing the research team from the island of Isla Sorna. 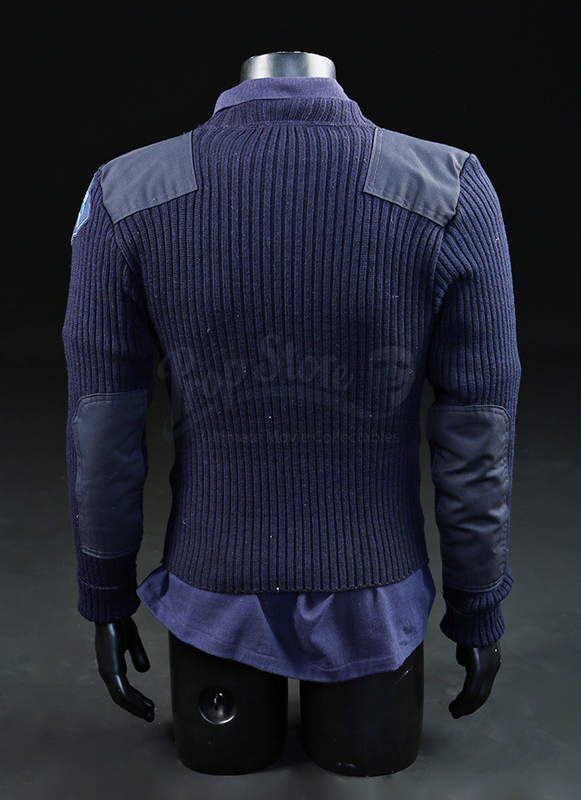 The ribbed sweater is dark blue and features elbow pads and an inGen patch on the left shoulder and is labelled size small (S). The polo shirt is production-made and matches the aesthetic. 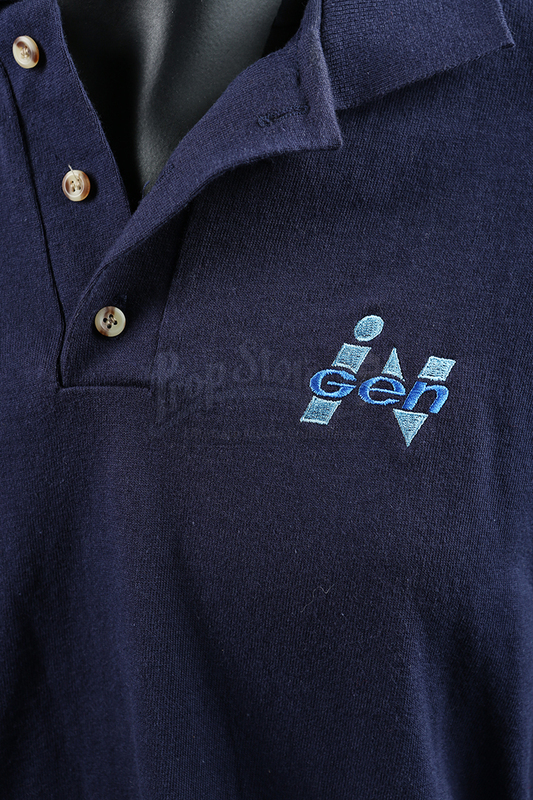 The dark blue polo is a size large (L), made of cotton and features an inGen logo on the left breast. 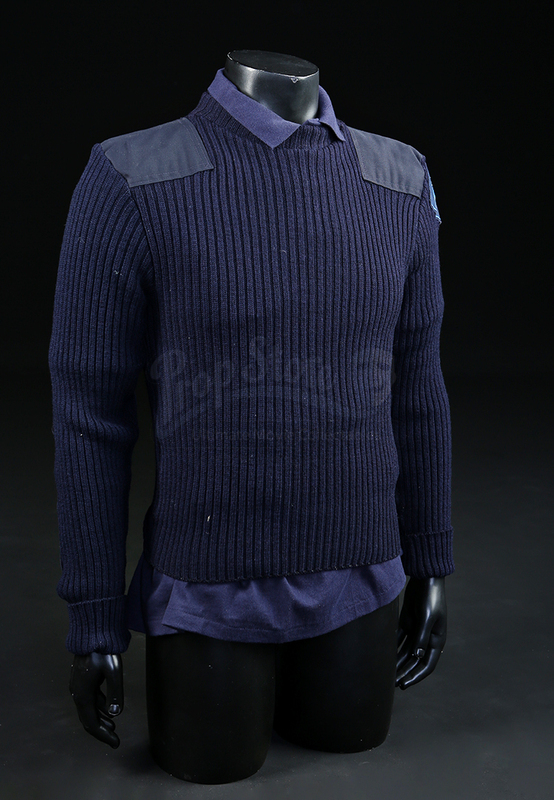 The sweater and polo shirt show minor wear from age and production but both pieces remain in overall very good condition.